South Africa offers wonderful fishing experiences in fabulously picturesque settings. Hone the skills of fly fishing in mountain streams and dams, try your hand at bass or tiger fishing on beautiful lakes, do some angling from any number of coastal fishing spots, or head out on the big seas on deep sea fishing charters. 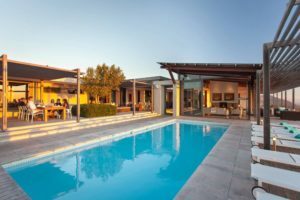 Do a luxury fishing holiday in South Africa and enjoy luxury lodge accommodation alongside memorable fishing experiences. Who wouldn’t want to say ‘Gone Fishing’! 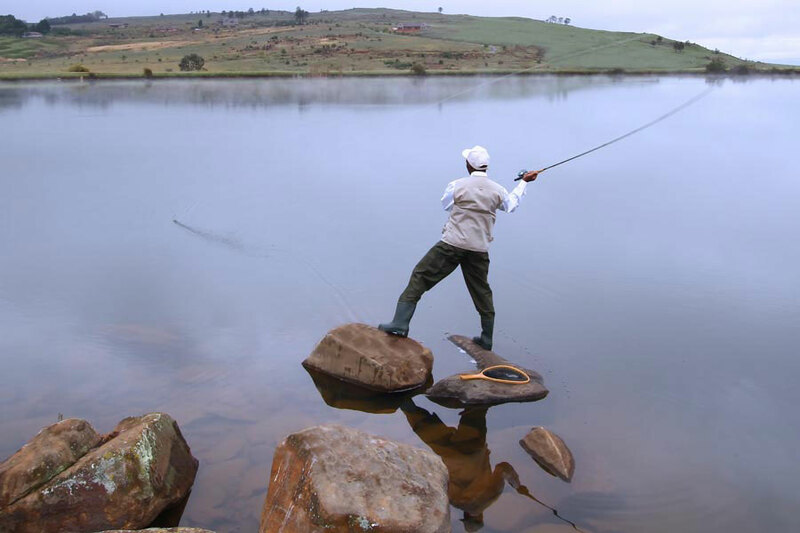 Dullstroom is one of South Africa’s best trout fishing spots – so much so that it’s considered the fly fishing capital of South Africa. 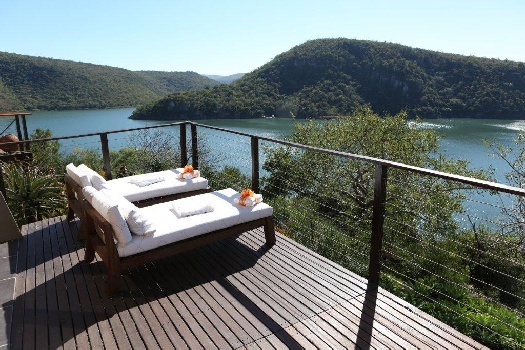 Walkersons Hotel & Spa is a fabulous luxury option for fly fisherfolk, because it’s set amid lakes and dams where rainbow and brown trout are to be found. Guides are available at Walkersons for beginners trying their hand at fly fishing. 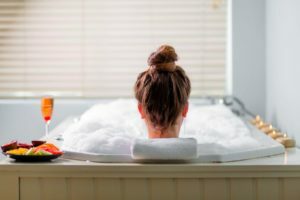 When you’re not out fishing, enjoy the comforts of the handsome lodge, have a spa treatment or two, catch a workout at the gym, go horse riding or head out into nature with a picnic basket. Mail us. Tiger fishing is a great experience that is sure to stretch your fishing skills! Lake Jozini in KwaZulu-Natal is situated within the Pongola Game Reserve and is the place to find tiger fish in South Africa. The beautiful White Elephant Safari Lodge basks beside this lake and offers a superb tiger fishing experience alongside its various bush-based safari activities. At certain times of the year – usually September and October – a 3-night tiger fishing package is available, providing for 3 nights of accommodation in luxury safari tents, and 2 full days of tiger fishing off a boat, with rods and tackle provided. Mail us or Book Online. 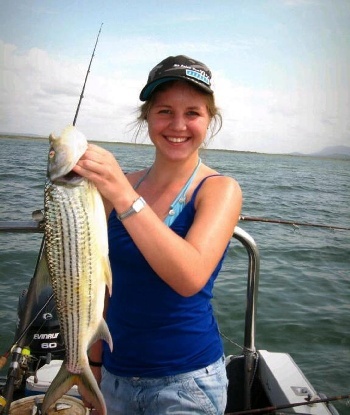 Lake Jozini is a picturesque spot in Pongola known for its phenomenal tiger fishing opportunities – here a catch from the boat with White Elephant Safari Lodge. Jozini Tiger Lodge & Spa is another fabulous option for your tiger fishing holiday. Have a go at catching a tiger in the lake – some of them are as large as 10kg! Jozini Tiger Lodge has boats at the ready to take you out on the lake, and can supply all the necessary fishing gear. Mail us. 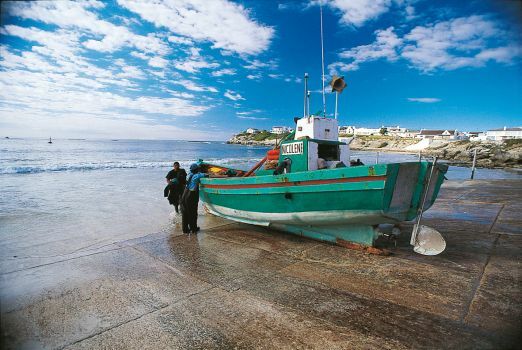 The village of Arniston is all about fishing. It’s a quaint fishing village of old, surrounded by beautiful beaches and nature reserves. The Arniston Spa Hotel stands beside the sea in this fisherman’s playground. Hotel staff will gladly arrange deep-sea fishing excursions for you, or point you in the direction of the many good fishing spots in the area. They will gladly supply tackle too. Back at the hotel expect to be served a good amount of fresh seafood in a sea-view dining room. Mail us or Book Online. Bass fishing in the Eastern Cape, anyone? This could be a side order on a remarkable Big Five safari in the Pumba Private Game Reserve. 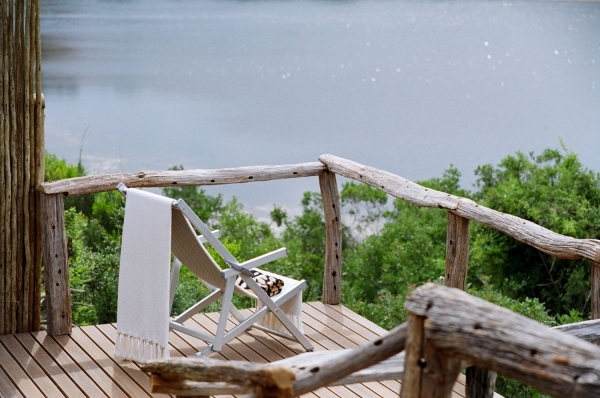 One of Pumba’s two lodges, Water Lodge is idyllically set at lake Cariega. It is in this exquisite waterworld that you can kick back and fish for bass. The lodge will provide rods, lures and tackle and the rest is up to you! At Pumba you will also be taken out on daily safari drives in a beautiful malaria-free wilderness in which rare white lions are also to be found. Mail us. Mail us for bookings and holiday planning, or call us on +27 21 797-7122.